The nature of the challenges to the United States and its interests demand that the Armed Forces operate as a fully integrated joint team across the conflict continuum. Joint operations are military actions conducted by joint forces and those Service forces employed in specified command relationships with each other, which of themselves do not establish joint forces. The potential range of military activities and operations extends from military engagement, security cooperation, and deterrence in times of relative peace up through major operations and campaigns that typically involve large-scale combat. Joint planning is the deliberate process of determining how (the ways) to use military capabilities (the means) in time and space to achieve objectives (the ends) while considering the associated risks. Joint logistics is the coordinated use, synchronization, and sharing of two or more Military Departments’ logistics resources to support the joint force. Sustainment provides the joint force commanders freedom of action, endurance, and the ability to extend operational reach. 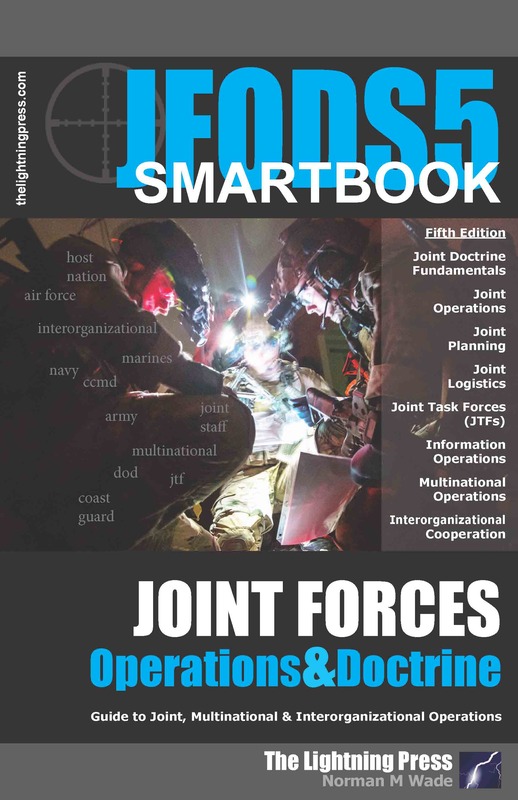 A joint task force (JTF) is established when the scope, complexity, or other factors of the contingency or crisis require capabilities of Services from at least two Military Departments operating under a single joint force commander. Information-Related Capabilities (IRCs) are the tools, techniques, or activities that affect any of the three dimensions of the information environment. Achieving national strategic objectives requires effective unified action resulting in unity of effort -- to include interagency, intergovernmental, nongovernmental and multinational partners. This is accomplished by interorganizational cooperation, synchronization, and coordination in the use of the diplomatic, informational, military, and economic instruments of national power. 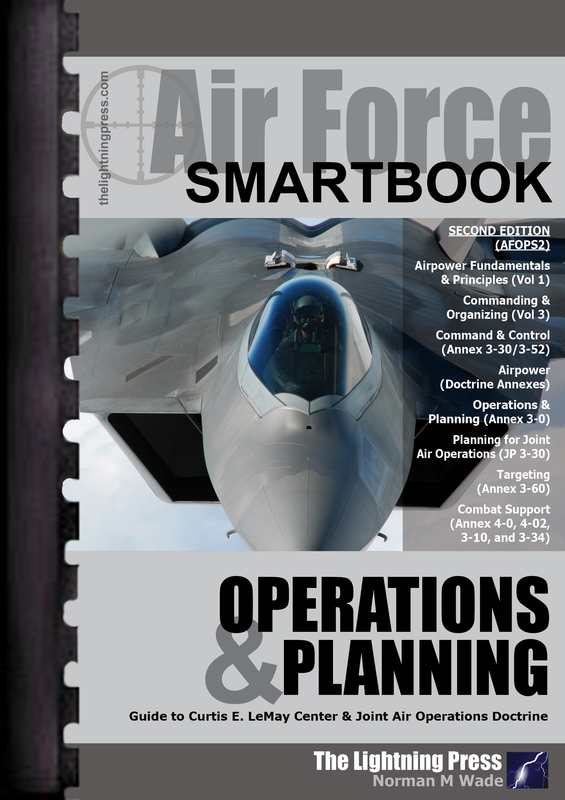 Joint/Interagency SMARTbook 1 – Joint Strategic & Operational Planning topics and chapters include Strategic Organization; Planning; Campaign Planning; Joint Operations Planning Overview; Planning Functions; Operational Art, Design, & the Joint Operations Cycle; Global Force Management (GFM); In-Progress Reviews (IPRs); Adaptive Planning and Execution (APEX) and the Joint Operations Planning Process (JOPP); Strategic Guidance/Strategic Direction; Plannning Initiation; Mission Analysis Overview; Joint Intelligence Preparation of the Operational Environment (JIPOE) & Intelligence Preparation of the Battlefield (IPB); Mission Analysis Key Steps; Concept Development (Function II); Course of Action (COA) Development; COA Analysis and Wargaming; COA Comparison; COA Selection & Approval; Plan Development (Function III); Plan Assessment (Function IV); Assessment Fundamentals; Execution; Summary and Appendices. The dawn of the 21st Century presents a global environment characterized by regional instability, failed states, increased weapons proliferation, global terrorism and unconventional threats to United States citizens, interests and territories. If we are to be successful as a nation, we must embrace the realities of this environment and operate with clarity from within. It is this setting that mandates a flexible, adaptive approach to planning and an ever-greater cooperation between all the elements of national power, supported by and coordinated with, that of our allies and various intergovernmental, nongovernmental and regional security organizations. It is within this chaotic environment that planners will craft their trade. 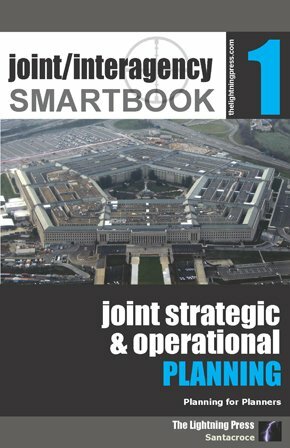 Joint/Interagency SMARTbook 1: Joint Strategic & Operational Planning (Planning for Planners) was developed to assist planners at all levels in understanding how to plan within this environment utilizing the Joint Operational Planning Process; an orderly, logical, analytical progression enabling planners to sequentially follow it to a rational conclusion. By utilizing this planning process, which is conceptually easy-to-understand and applicable in all environments, any plan can come to life. This new revision of Planning for Planners incorporates the latest thinking on Adaptive Planning and Execution (APEX), Global Force Management (GFM), Campaign Planning and Assessment Fundamentals. 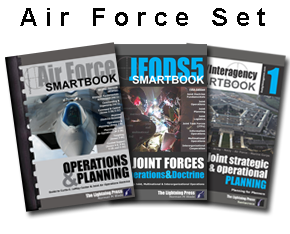 Planning for Planners has been utilized since 2007 by war colleges, joint staffs, Services, combatant commands and allies as a step-by-step guide to understanding the complex world of global planning and force management. Paramount to planning is flexibility. The ultimate aspiration of this book is to help develop flexible planners who can cope with the inevitable changes that occur during the planning process.